Video Clips of the Nerve Lantern Show! 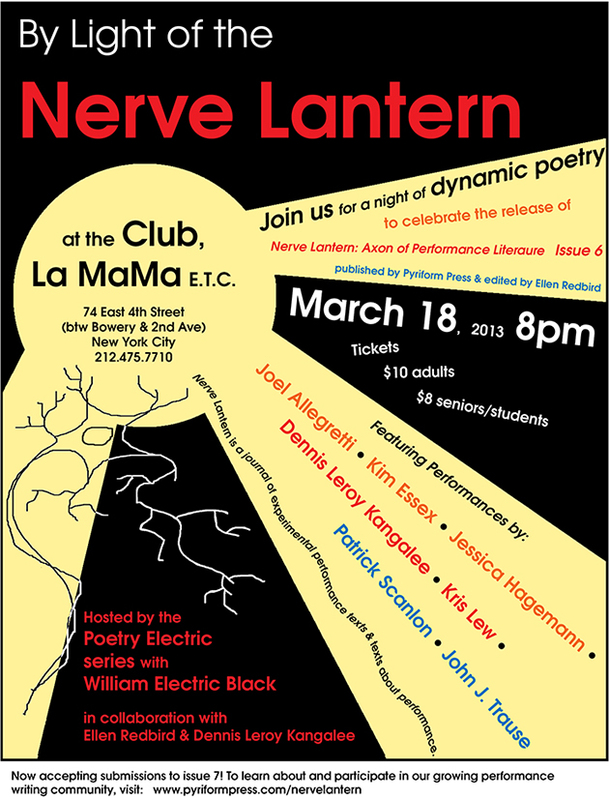 The show By Light of the Nerve Lantern was performed on March 18, 2013 at La MaMa Experiemental Theater Club in New York City. 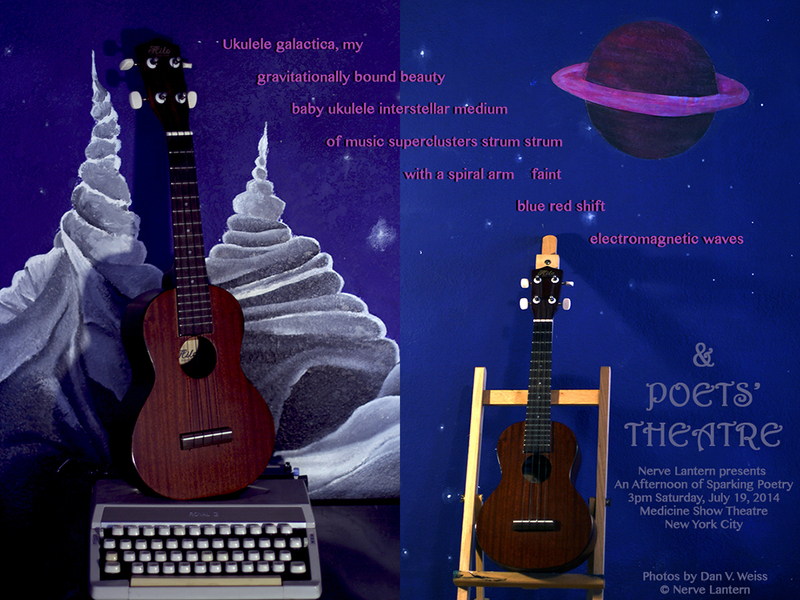 It was hosted by William Electric Black via his Poetry Electric series. Co-organized by Dennis Leroy Kangalee, Kris Lew (also the MC), and Ellen Redbird, this show celebrated the release of Nerve Lantern issue 6, which was the revival issue after an eight-year publishing hiatus. 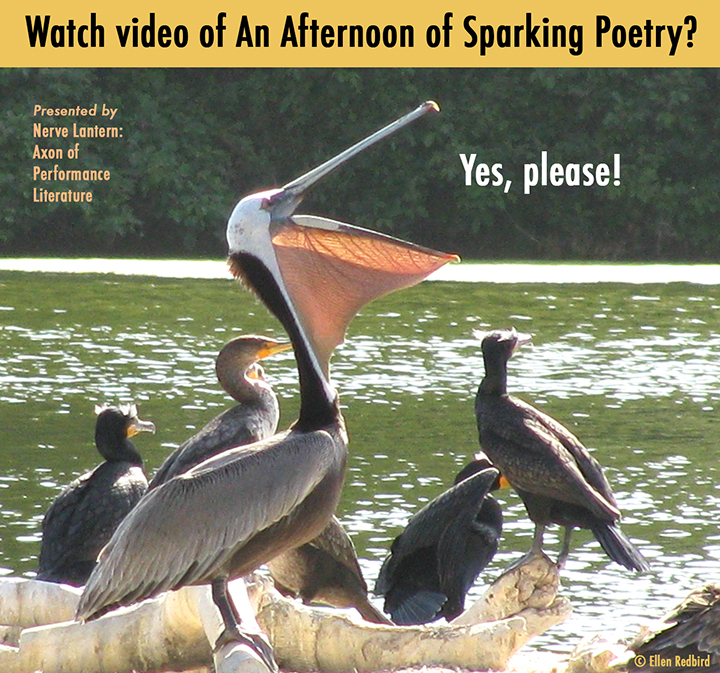 Performers: Joel Allegretti, Amy Barone, Caroline Contillo, Maggie Dubris, Kim Essex, Davidson Garrett, Aimee Herman, David Lawton, Kris Lew, LuLu LoLo, Todd Pate, John J. Trause, and volunteers from the audience. Announcing a Nerve Lantern performance at La MaMa in New York City! 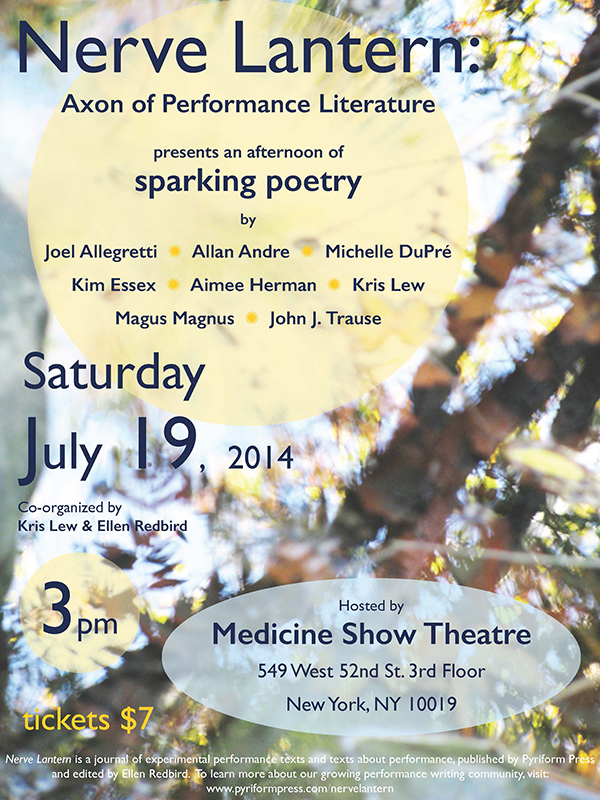 Nerve Lantern: Axon of Performance Literature issue 6! 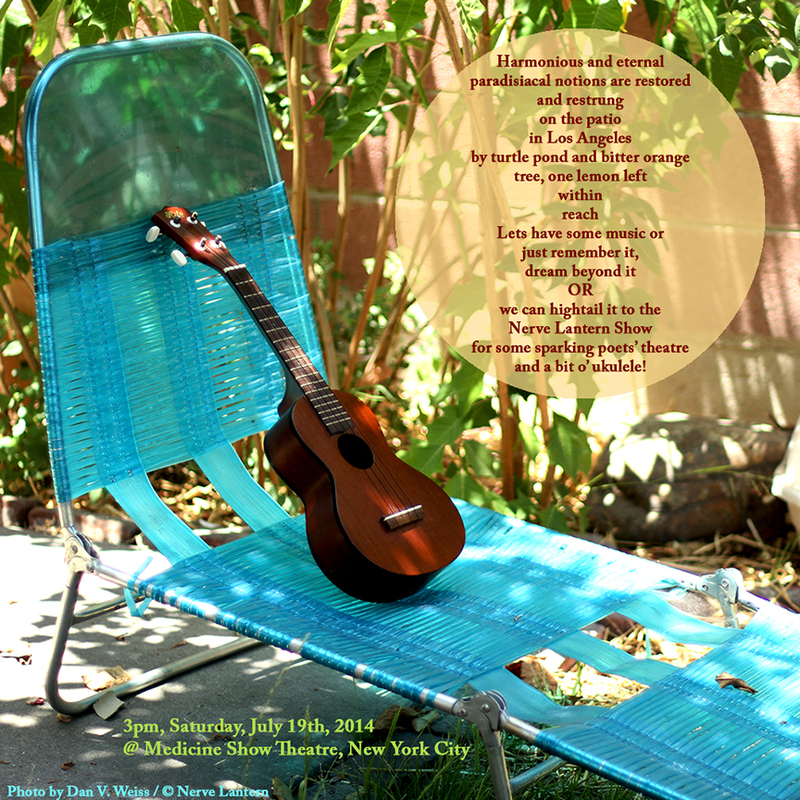 Hosted by the Poetry Electric series with William Electric Black in collaboration with Ellen Redbird and Dennis Leroy Kangalee. Nerve Lantern is a journal of experimental performance texts and texts about performance, supporting a range of forms including poets’ theatre and page-as-stage. 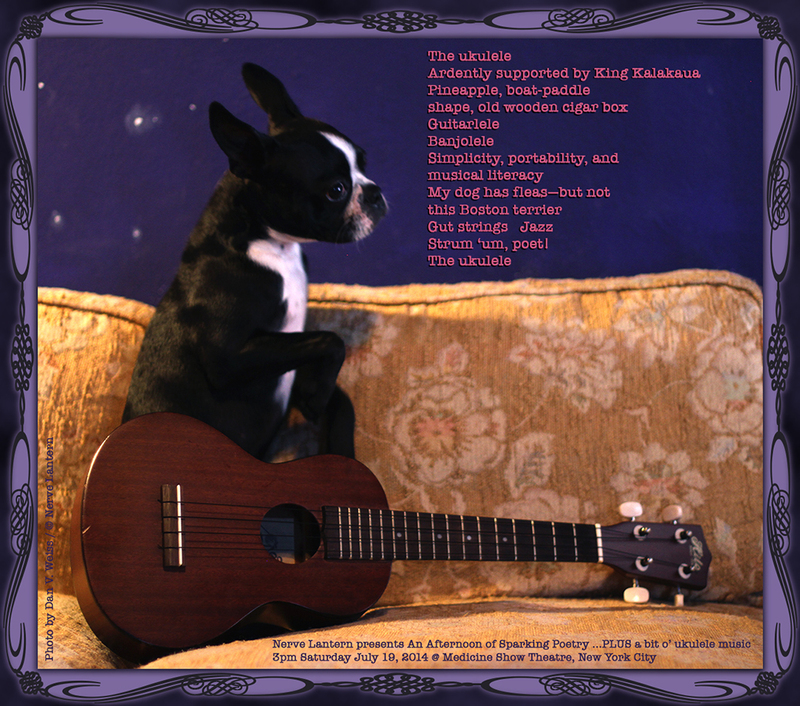 Published by Pyriform Press and edited by Ellen Redbird. 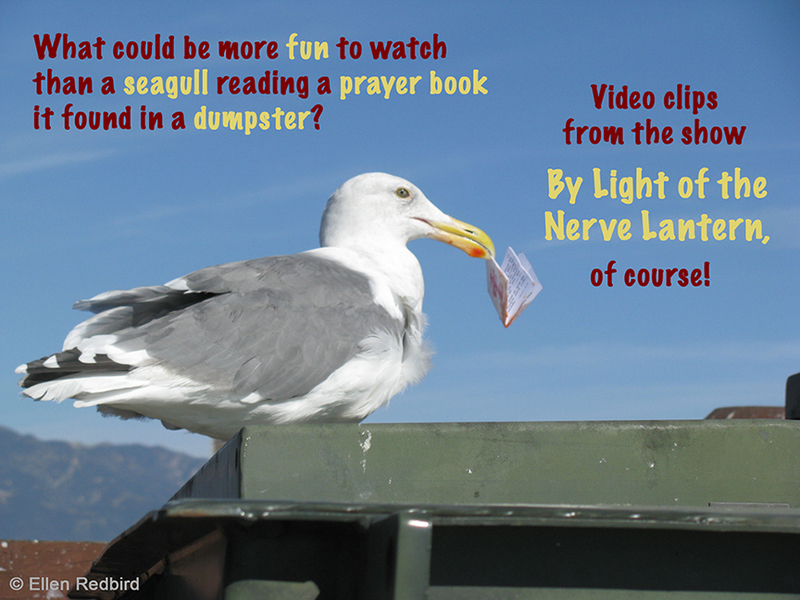 Copies of Nerve Lantern and other books by the contributors will be available for purchase after the show. 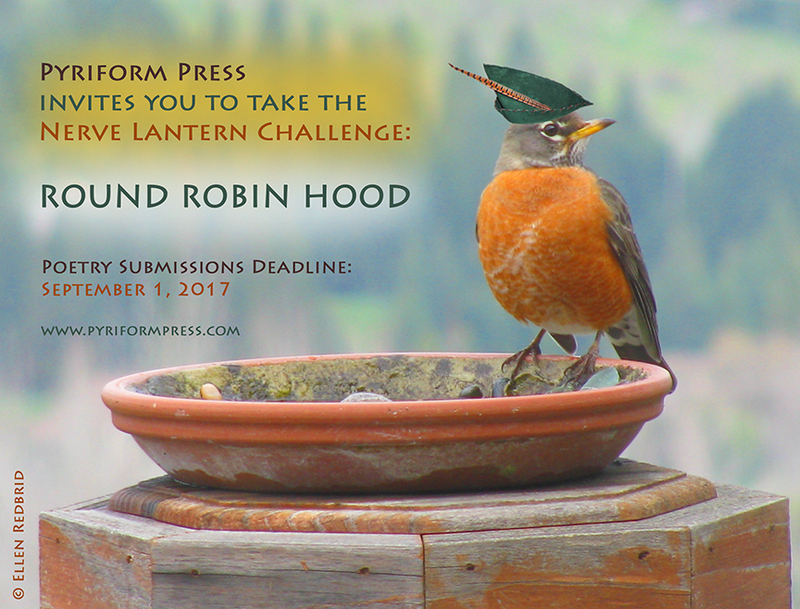 Nerve Lantern is now accepting submissions to issue 7!